Those who are self educated or simply people who decided that they needed to learn more than they were taught in this life. They either were fed up with the system or simply wanted to better themselves to reach their full potential. 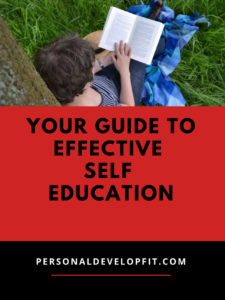 You may be wondering what self-education is and how to do it. Well below I answer that for you as well as how you can do so at in a more efficient manner. Dictionary.com defines self-education as being educated by ones own efforts, without formal instruction. 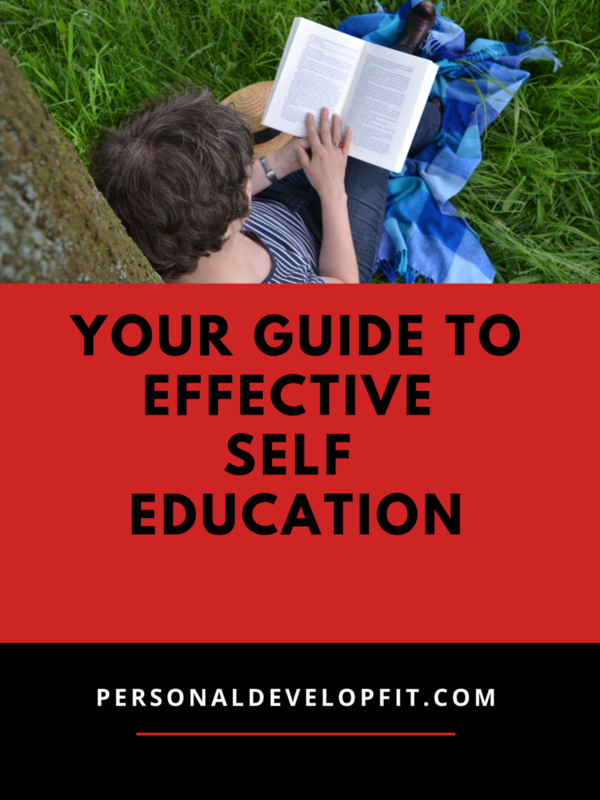 Self education also known as autodidactism is a great way to learn on your own terms. Without a teacher. At a rate, pace and subject that you choose. Often times we see school as being the end all as far as learning goes, but it can just be the beginning as far as life learning goes. We have all had that class(s) where we absolutely hated what we were being taught but had to learn it in order to get to the next grade. It was torture pretty much the entire time. By integrating self education you can take the power back and become well versed in something that is near and dear to your heart. Or at least you have an interest or passion in. To me the importance of self learning in my life has been to simply enjoy learning as I never really did with traditional schooling. For me it has been a process of learning to not only like learning but look forward to it each day. It also opened up a whole new world of possibilities for myself. Because as I expanded my knowledge, I saw more opportunity. Also I seemed to attract better people and scenarios into my life. For this reason alone, this subject is near and dear to my heart! An article on self-education summed up greatly what the importance of self-education really is. To paraphrase, they put it as stopping the acceptance of who you currently are or see yourself as and start living your life in a way that personifies who you want to become. It also talks about pinpointing what is off in your life and self educating yourself out of that feeling of something being off. You delve into your passions and learn more, allowing you to feel more complete. Builds discipline building good habits by continuously learning. It becomes easier to build this discipline because you are acquiring knowledge you desire. Perspective expansion showing you that you can change your outer world by changing the inner. More adaptable to change and anticipating change through openness to learning new things. Gives you better confidence when it comes to communicating with people. What if you were able to have access to 2400 courses and do so in a community of over 300 millions visitors? Well you can do so at https://ocw.mit.edu/! You can have access to to a web based publication of almost all MIT content! Mind blowing. It’s goal is to empower minds. To do so for students as well as independent learners, enriching their lives and to utilize the content to tackle some of the world’s toughest challenges. Actualized.org has been coined as a place to Master your Psychology. There is over 300 hours of in-depth videos free of charge that delve deeply into self-improvement, consciousness raising, practical psychology, emotional mastery and more. It also offers mastermind group capabilities in which you can join in on forums about these topics and gain insight and more mastery through the help of other peoples perspectives. Join the community today and reap the benefits of this epic site. Bigthink.com’s Youtube profile refers them as the leading source of actionable, expert driven and educational work that aims you get smarter, faster. They have over 10,000 hours of educational content that helps you explore the core skills and big issues that encompass 21st century knowledge which are applicable to the challenges that we face in our own lives. Khanacademy.org is an awesome spot for self learning offering a spot for learners, teachers and parents. Their tagline is for free, for everyone, forever. Their about me page talks about how they offer free practice exercises, personalized learning and instructional videos that offer their users a place to study at their own pace in subjects that include by aren’t limited to math, history, economics, science, computer programming and art history. The true meaning of self-education. They are partnered with giants like NASA and MIT as well as the Museum of Modern Art as well as The California Academy of Sciences. You can find a TED talk on anything. They are some of the most informative speeches ever given and can give you better insight on subjects coming from someone else’s point of view. Did you know that you and I can still rent free books?? The library is an awesome place because it is a storehouse of knowledge just waiting to be tapped. If you have some extra cash, you can learn at a faster rate by purchasing audio books on the topics and subjects you are interested in learning. This resource is nearly a decade old now, maturing very nicely. If you haven’t heard of it, Luminosity is brain games and brain training. It was created by scientists and game designers and it offers over 60 games that allow you to better your cognitive function. Over 85 million people use it now. Pinterest can be a great self development and self education tool. It puts you it can put you in front of thousands of sites all that all are talking about every topic under the sun. Whether that personal development, life hacks, playing sports better, knitting or simply awesome and inspirational quotes! This self education resource provides open access at not charge of a selection of introductory courses that are taught by actual Yale University teachers! One of my favorite people in the personal development industry. Author of the 4 Hour Work Week which is awesome as hell by the way. Tim Ferriss offers a wealth of knowledge on almost everything that will help you make your life better! Check it out at tim.blog.com. The author talks about how, for example an college student highlight all the key points in the Gettysburg Address for an exam on it. Then we think we are signaling to our brain to remember those points. But the brain simply doesn’t work that way. It takes orders in a different way, in a way of SHOWING the brain what is important instead of TELLING it. Instead the author talks about why flashcards are way more effective as they are forcing you do mine the idea out of your memory banks. Versus highlighting where you are simply pressing the knowledge into your brain. A great article called Learn how to study using elaboration talking about how when studying a topic, you should try to connect ideas you are looking to learn with experiences or memories from your own life. But we can take it a step further. The article talks about how we can use what is called elaborative interrogation which is a more specific method or learning through elaboration. How do these relate to a certain memory? (LEARNING HACK With Elaborative Interogation) – Space your learning over time to where you relate what you learned with what is happening around you on a daily basis. What they heck is that word!? No, I didn’t spell it wrong, even though my spell check game is weak LOL. A great article talks about using mnemonics as a study tool. Mnemonics is an instructional strategy that was designed to assist students in improving their important information memory retention. The basics of mnemonics is rhyming words, relying on the use of key words and acronyms. For example using the keyword raindae, which is the scientific word for common frogs. You would connect this keyword with an image of frogs hopping around while it is raining. Next would be the integration of learning new information with numbers, also known as pegwords. For example, trying to learn that spiders have 8 legs, you would create a mental picture a of a spider on a gate, and rhyme eight with gate. Can you sing your way to learning new subjects? Absolutely. This can be seen in the movie Here Comes The Boom, which is a great watch if you have some time this weekend. I don’t know if there is any scientific evidence to this, but you can use it to remember things. So take your favorite song and integrate what you want to learn in replace of the lyrics. Here is a clip from the movie if you want a quick educational laugh! What areas of study went well? What areas can I improve in? Free Recall – This is the process where someone gives someones else (You in this case in both scenarios) a list of items to remember and recall them in order of how they were given. Usually one tends to recall items from the beginning and the end of the list, also known as the recency effect. Cued Recall – One gives a list to the person who is supposed to be remembering the list, and is given them with cues. Such as numbers, pictures or other words associated with what is supposed to be remembered. This is alos known as stimulus-response recall. Pairing words often allows someone to recall the word needed to be remembered. Serial Call – Recalling events in order of which they occurred, in the form of chronological order or in the order of parts of sentence. The rules of this is that more recent events are easily remembered in order where short term memory recall seems to be remembered in the form of discrete items. Where as long term memory is presented as a whole. You can also have a friend or lover help you out with this process if you find it too tough to play both parts. Simply put we can only retain so much, but we can better that retention rate by learning in bursts, those bursts lasting 20-40 minutes. We have all experienced cram overload, where we are left looking blankly at book or piece of paper. This doesn’t have to happen anymore! Utlize shorter study sessions by breaking them up. A great article called the protoge effect: how you can learn by teaching others, talks about how when students are given information for the purpose of teaching someone else that information, perform better on tests then those who just learn it in general. So simply implementing this tactic call allow you to retain more of what you are educating yourself with. It is also shown to help better communication skills as well as increase confidence and leadership ability. You can utilize this self education tactic by either learning with the intention to teach someone, pretending that you are teaching it to someone like stating it aloud as if someone was in the room and lastly actually teaching it to someone. A study was done showing that glucose enhances learning and memory when it comes to the healthy population. As well as several other cognitive functions in those with the likes of Alzheimers and Down Syndrome. Showing that glucose can help with cognitive function for all humans. So bang out a nice bowl of oats and get to self educating!